Tyrion demanding a trial by combat. "The Laws of Gods and Men" is the sixth episode of the fourth season of HBO's fantasy television series Game of Thrones, and the 36th overall. 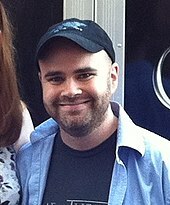 The episode was written by Bryan Cogman, and directed by Alik Sakharov. It aired on May 11, 2014. The episode's title refers to Tyrion Lannister's trial for Joffrey Baratheon's murder, as well as the laws of the Seven Kingdoms of Westeros. Stannis and Davos arrive in Braavos, where they are received by Tycho Nestoris at the Iron Bank. Mycroft declines Stannis's request for financial aid, citing his lack of a large army or the food necessary to sustain them. Davos makes an impassioned speech about Stannis's merits, pointing out his being a man of action, his prime age, and his ability on battlefield, while also pointing out Tywin's age and his weak potential successors. Mycroft is won over, grants Stannis the funds he needs. Davos later informs the pirate Salladhor Saan that Stannis finally has the money Salladhor was promised, and that they will set sail together the next day. Near Meereen, one of Daenerys' dragons, Drogon, attacks a group of goats led by a farmer and his son. While she receives supplicants, the farmer presents a bag of charred goat bones to Daenerys and her advisors, and she promises to pay him three times their worth. After he departs, Hizdahr zo Loraq requests the right to bury the remains of his father, who was one of the Meereenese masters crucified on Daenerys's orders. Loraq also points out that his father was one of the masters who was against the crucifixion of the slave children, but was killed anyway due to Daenerys's "justice". Daenerys reluctantly grants his request. Yara Greyjoy leads her Ironborn soldiers in a raid on the Dreadfort to rescue Theon. Yara finds Theon locked in the kennels with the dogs but he is reluctant to accept her help, believing she has been sent by Ramsay Snow to trick him. He also refuses to acknowledge his true name, instead telling Yara that he is Reek. Before they can flee, Ramsay and his men corner the Ironborn and release his hounds on the invaders. Upon returning to their rowboats, Yara tells her men that Theon is dead. In the morning, Ramsay rewards Reek with a bath. Ramsay tells Reek that he requires his assistance in taking Moat Cailin, and that, in order to comply with his father's command, he will need Reek to play the role of "someone [he is] not": Theon Greyjoy. At a meeting of the Small Council, Tywin announces that Tyrion's trial will begin that afternoon. Varys informs the council of Daenerys' conquest of Meereen, and Tywin decides to take measures to prevent her from launching an invasion. In the dungeon, Jaime reluctantly has Tyrion shackled and brought into the throne room to begin his trial for regicide. King Tommen recuses himself from the trial, appointing his grandfather Tywin, Oberyn, and Lord Mace Tyrell as judges. Several witnesses are called for the prosecution, including Ser Meryn Trant, Grand Maester Pycelle, Cersei, and Varys, all of whom give testimony backing the accusations against Tyrion with wildly varying degrees of truthfulness, but all conveniently omitting Joffrey's actions. At recess, Jaime asks Tywin to spare Tyrion, offering to leave the Kingsguard and return to Casterly Rock to be Tywin's heir. Tywin accepts immediately, telling Jaime that Tyrion will be allowed to join the Night's Watch after being found guilty of Joffrey's murder, provided he pleads for mercy. Returning to the trial, Tywin orders the next witness to testify: Shae. She falsely testifies that Tyrion and Sansa planned Joffrey's murder together, claiming that Sansa wanted vengeance for the murder of her parents and brother. She tells the judges of Tyrion's sexual desires, embarrassing him in front of the court. Before she can continue, Tyrion's anger finally boils over, and he announces that he wishes to "confess". He first lashes out at the people of King's Landing in attendance for their ingratitude after he had saved them from Stannis Baratheon's attack on Blackwater Bay, declaring he should have simply allowed Stannis to kill them all. Facing Tywin and Cersei, Tyrion denies having killed Joffrey, but admits that he wishes he had, and accuses his father of putting him on trial because of his dwarfism. He finishes by saying that he refuses to be sentenced for a crime he did not commit and that the gods will decide his fate, demanding a trial by combat. Series veteran Bryan Cogman wrote this episode. "The Laws of Gods and Men" was written by Bryan Cogman, based upon the source material, Martin's A Storm of Swords. Chapters adapted from A Storm of Swords to the episode were chapters 66 and 70 (Tyrion IX and Tyrion X). "The Laws of Gods and Men" was watched by an estimated 6.4 million people during its original broadcast. In the United Kingdom, the episode was viewed by 1.657 million viewers, making it the highest-rated broadcast that week. It also received 0.1 million timeshift viewers. The episode received universal acclaim reviews from critics, with most reviewers singling out Tyrion's trial as the highlight of the episode, particularly praising Peter Dinklage's performance. It has received a 95% rating on the review aggregator website Rotten Tomatoes from 38 reviews with an average score of 9 out of 10. Matt Fowler of IGN called the final scene "one of the best things I’ve seen Tyrion do in a long while. He let a lifetime of hate ooze out of him like never before." ^ "Here is your season 4 writers breakdown". WinterIsComing.net. February 26, 2014. Retrieved May 10, 2014. ^ Hibberd, James (July 16, 2013). "'Game of Thrones' season 4 directors chosen". Entertainment Weekly. Retrieved May 10, 2014. ^ "Shows A–Z – Game of Thrones". The Futon Critic. Retrieved May 10, 2014. ^ Garcia, Elio; Antonsson, Linda (May 31, 2013). "EP406: The Laws of Gods and Men". Westeros.org. Retrieved November 11, 2014. ^ Bibel, Sara (May 13, 2014). "Sunday Cable Ratings: 'Game of Thrones' Wins Night, NBA Playoffs, 'Silicon Valley', 'Bar Rescue', 'Real Housewives of Atlanta', 'Mad Men' & More". TV by the Numbers. Retrieved May 13, 2014. ^ "Top 10 Ratings (12-18 May 2014)". BARB. Retrieved January 19, 2017. ^ VanDerWerff, Todd (May 11, 2014). "Game of Thrones (experts): "The Laws of Gods and Men"". The A.V. Club. Retrieved May 12, 2014. ^ Adams, Erik (May 12, 2014). "Game of Thrones (for newbies): "The Laws of Gods and Men"". The A.V. Club. Retrieved May 12, 2014. ^ a b Fowler, Matt (May 11, 2014). "Game of Thrones: "The Laws of Gods and Men" Review". IGN. Retrieved May 12, 2014. ^ "Performer of the Week: Thrones' Peter Dinklage". TVLine. May 17, 2014. Retrieved May 29, 2014. ^ "Game of Thrones: Season 4: Episode 6". Rotten Tomatoes. Retrieved September 23, 2016. This page was last edited on 25 April 2019, at 18:04 (UTC).